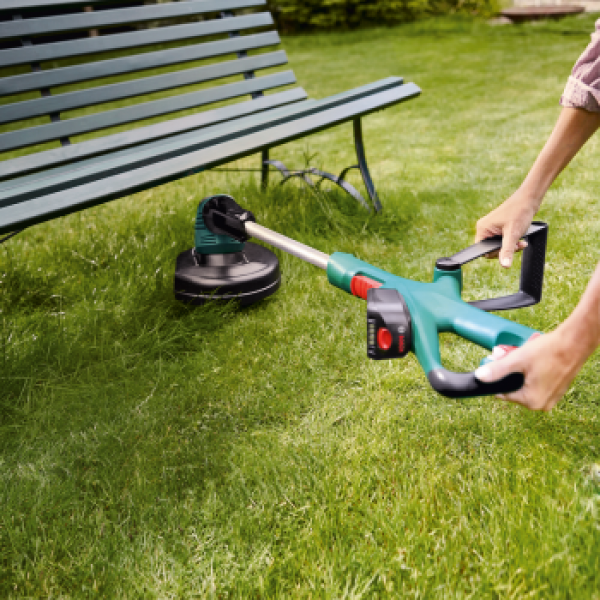 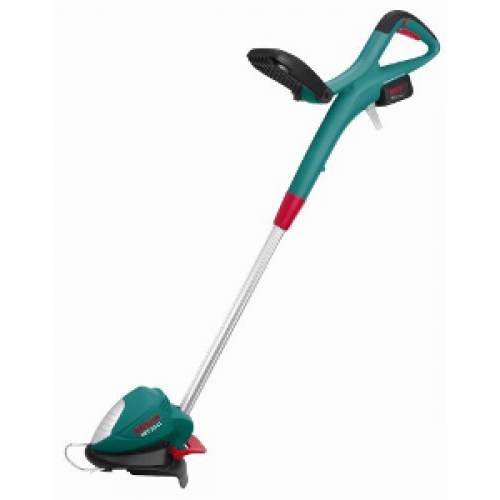 This new lithium ion battery powered grass trimmer is extremely lightweight weighing only 2.3kg for comfortable working . 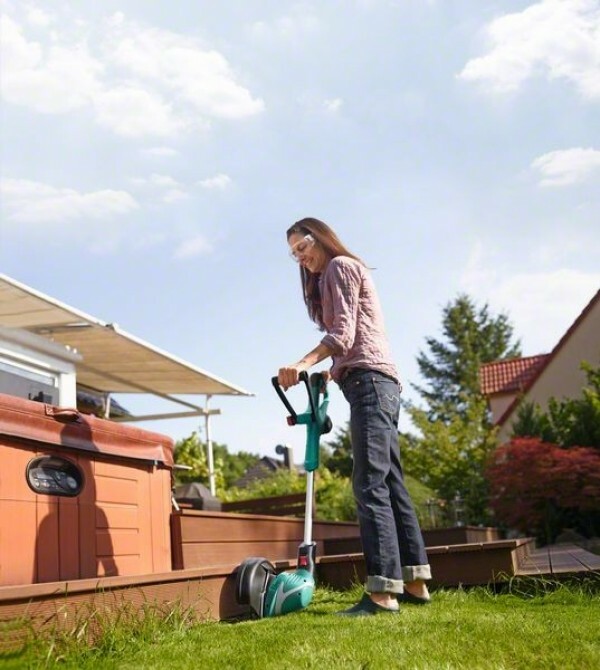 The easy to rotate cutter head makes 'walk behind' edging a pleasure. 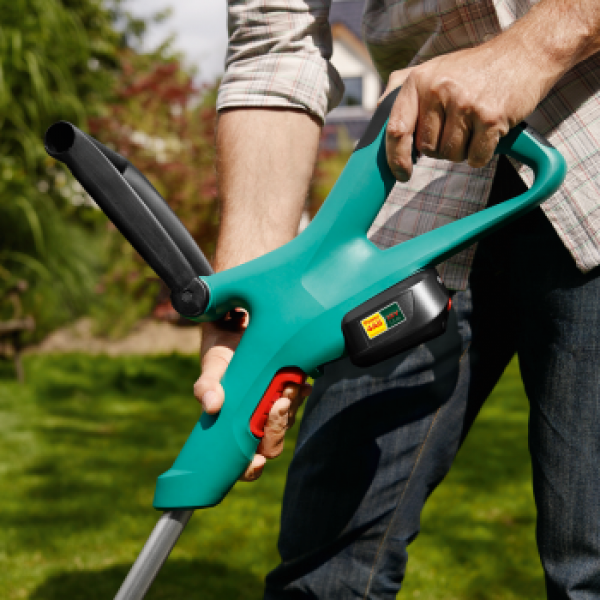 New unique Durablade system Flexible use: One-click rotatable head for trimming, edging, and finishing.